So, Foxtons are in the news again, as they are about to be sued in another groundbreaking case. Last time it was the OFT claim re the Unfair Terms in Consumer Contracts Regulations in 2010. This time it is solicitors Leigh Day and a class action on behalf of many landlords on the basis of unfair charges. Good for them! I think a case of this nature is long overdue. I have been writing on this blog for years about agency law and the duties of agents to deal fairly with their landlords, hoping that someone would take up the cause. At last this is happening. Agents and their fiduciary duty. I think the first post on the subject that I did, was this one in 2009 (nearly six years ago) which was about how some landlords were encouraging tenants to move out so they could get their commission for finding a new one. In this post I talked about what is meant by ‘fiduciary duty’ – the extra special duty of care agents have towards their customers (known in agency law parlance as ‘principals’). To put it in a nutshell, the law states that because agents are in a particularly powerful position, effectively managing their client’s business for them, with the ability to make contracts on their behalf (meaning that they are able to feather their nest without their landlords knowing about it), they have a legal obligation to be extra specially careful to act in ‘good faith’. 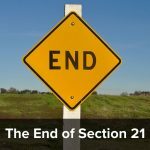 The law will (or should) treat an agent who has breached this duty, much more harshly than it will other breaches of contract, as the agent is in a position of trust. Courts and Judges normally take this duty very seriously. Because letting agents ARE in a position of trust. Landlords assume that they are acting in their best interests. I think most landlords in his position will feel the same. I would suggest that this type of reaction is, in itself, proof that this sort of thing is unfair. Then there is the double charging – apparently Foxtons not only charge an eye watering £420 for ‘drawing up a tenancy agreement’, but they charge this to the tenants as well! A total of £840! That’s a PHENOMENAL amount of money, for what is effectively just a clerk filling in the blanks of a pre-drafted document. On a time costing basis (as I assume it does not take more than a few minutes) it is probably more, pro rata, than some QC’s charge. Indeed, £840 is the sort of sum I used to charge as a solicitor for checking and amending tenancy agreements – an exercise that would take me the best part of half a day to a days work. So far as commission is concerned, it looks as if the commission Foxtons takes from traders (who then add this to their bills to be paid by the landlord) can be up to 33% of the invoice – making repair bills for customers of Foxtons and other agents who make these charges, significantly higher than repairs bills from normal tradesmen. Foxtons justify these charges by saying that in their terms and conditions they have a clause saying that they take commission. Is this sufficient, in view of the size of the commission and the inflation of the repair bills to the customer? I think not. This money is effectively a ‘secret profit’ which the landlord knows nothing about. Which is a serious breach of agency law. My view is that an agent, being in a position of trust, must make it crystal clear to their customers exactly what they are changing and how it is calculated and that a line in the small print of their terms and conditions is not sufficient to discharge their ‘fiduciary duty’. There are also of course the new regulations on transparency of fees which came into force in April. But these are based on the rules that have always been there – that an agent must deal honestly with his principal and only charge what has been specifically authorised in advance by the customer. It is possible that if the Judge finds against Foxtons (and we must bear in mind that Foxtons could win, litigation being a chancy business, but if they don’t) they could be facing an even larger bill than anticipated. In some circumstances, principals in an agent/principal relationship can recover not only the secret profit but also any subsequent profit made by the agent using the secret profit money. As it is really the principals (in this case the landlord’s), money that was being used. This is known as ‘tracing’. A very cursory search on Google brought up the case of FHR v. Cedar which you can read about on Wikipedia here. In this case, the issue of a secret profit was an important part of the claim. The court found in the principal’s favour. Honour to have its reward? Another reason why I am delighted that this case is being brought is that, if the Judge finds against these practices, it will be a vindication of all those agents who don’t do them. 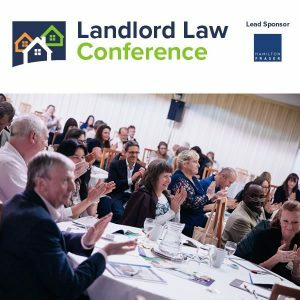 There are many excellent and honourable letting agents, who would scorn to take up to 33% commission from traders without specific authority from their landlords, or to charge both landlords and tenants the best part of £500 each for something which is effectively just a clerical exercise. How do they feel when they see companies who charge these extortionate fees prospering and ‘getting away with it’? Should they not be praised for standing up for what is right and just and only charging what they think is fair? I wish Leigh Day all the best with their litigation, and commend them for standing up for justice in bringing this claim. « What rights does an Australian landlord have to evict tenants in England? I can’t find an applause emoticon on my computer Tessa but cracking piece. We are with a major high street chain agent. Last year our washing machine gave up the ghost. The landlord agreed to spend no more than £500 including fitting, which is more than generous. We went three months without a machine and the agent wouldn’t tell us why, until they revealed that their suppliers couldn’t do it under £500. We went to Curry’s, got a decent one including fitting for £350. We deducted it from the rent and told the landlord what we had done and why. I would loved to have seen the emails. No one more qualified to read and understand the T&C’s he is signing up to. Being a landlord is a business and landlords should check who they choose to get into bed with and what they are agreeing to. I’ll save my sympathies for the tenants. And also for non-professional leaseholders who routinely have the same commission fees charged on works organised by block managing agents. I have been in this game for 42 years and have NEVER marked up a contractors costs. Nor would I dream of charging such extortionate rates for what is effectively a pro-forma agreement. When I was but a callow youth it was drummed into me that as an agent, the client’s interests were paramount.Not only is all of this well outside their fiduciary duty, it is clearly a case of secret profits (Fraud) AND contrary to all aspects of Fair Trading. The OFT would have had something to say but who will do it now?? These ‘types’ really p**s me -off pardon my anglosaxon – and sadly only serve to give the rest of us a bad name, hence all the bad news and ill thought-out legislation we have foisted on us! It shouldn’t matter whether the client is a solicitor or not, he should be entitled to expect to be treated fairly and not be ripped off. He shouldn’t have to pore over the fine print! I’m so pleased this case is coming about, I’ve worked in Property management for the last 10 years and I don’t charge my landlords anything to renew a tenancy agreement – from my point of view this is covered in the commission that I receive from the landlord each month to “manage” the property. Most of my tenancies renew within the same 3 month period and I run a simple mail merge – to prepare 40 agreements and pop them in the post takes a morning at most. I use the NLA tenant check service to do a full background check on all tenants for which I charge the tenant £40. I mostly manage properties for overseas Landlords and in my portfolio I have several leasehold flats that I manage, I find it so annoying, on behalf of the Landlords, to see what most of the agents who manage the blocks charge. I had one who refused to accept payment of the ground rent in any form other than a cheque – then they charged a admin fee to bank the cheque – In my opinion the cost of banking a cheque comes under the cost of running your business and should be factored into your overheads, not a additional fee you charge for under “service charges”. I’m only a small company and I know that I am not perfect but I hate to see people ripped off. Bottom line I will be pleased to see guidelines come into place – not only as a consumer but also as a service provider. Could a private criminal prosecution be brought against the directors over this? We are not talking about the “normal” 10% charge that agents and block managing agents add to repairs. This is a LOT more then that being done behind the back of the landlord ON TOP, of the charge that is shown on the landlords statement. In the past it has always been Foxton making unfair charges that are hidden in their small print, this time it looks more like a criminal action on thair part. 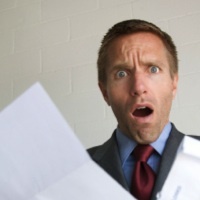 Have you written to your landlord about how unreasonable the agent is, including charges etc? @HB Welcome Although I agree that being a landlord is largely a business activity, it is also an investment. Property owners who do not want to run the business side of it themselves have the option to use an agent to do it for them. 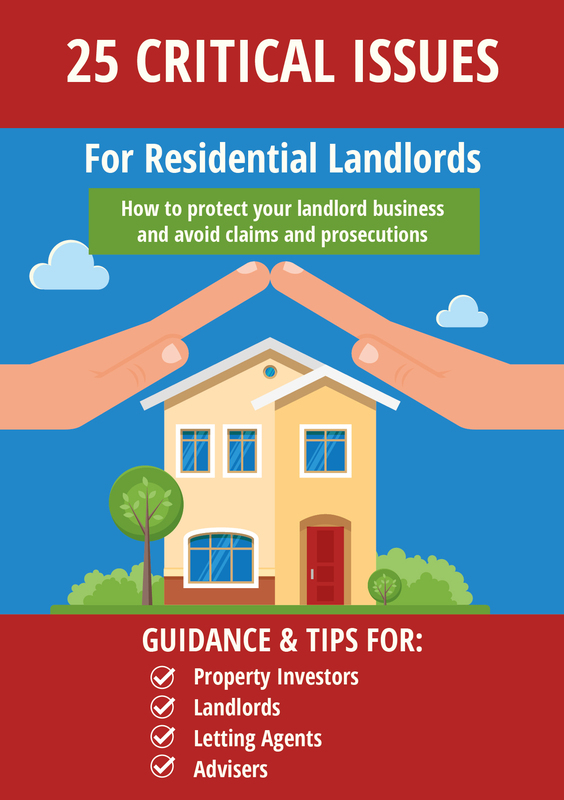 This type of landlord will not be particularly experienced or knowledgeable about the business – that is why they are using an agent to do it for them! The Judge in the earlier OFT v. Foxtons case agreed that they should have the benefit of the Unfair Terms in Consumer Contracts Regulations, in this case, I hope they will be given the benefit of the client protection rules relating to agents fees. Although in point of fact the agents fiduciary duty is not limited to consumer transactions – any principal in an agent / principal situation is entitled to assume that his agent will not make a secret profit out of him. You might not be talking about it but I am. I would not sign up for a “normal” 10% charge. I would thoroughly read the small print, seek professional advice if required, negotiate, and if a mutually beneficent agreement could not be made, I would walk away. But if I did sign up to it, then I would take the responsibility for my own actions. The landlord we are discussing is particularly experienced and knowledgeable about the business. A lot more experienced and knowledgeable than I am, and dare I say it, more experienced and knowledgeable than even you. Maybe, but he is just the landlord who set it going. There are, I understand, over 100 other landlords in the litigation. I doubt they all have law degrees. Anyway having a law degree doesn’t mean it’s all right for people to rip you off ‘because you should have spotted it’. Sometimes you trust people instead. If that person is an agent, the law steps in to help you if they breach that trust. But as per my link above, this is not just the average Joe with a law degree. £42M for overcharging on a £616 light fitting? This goes a lot deeper than that. @Ian. Yes I am in contact with the landlord. I did a land registry search before I moved in and found they are a accountants and run a blog where they raise money for charities, so I figure they are decent sorts. Whenever my agent acts iffy I email the landlords and ask for their opinion, which handily flags up what the agents are doing on their behalf. Just for the record. Last December, I had a faulty light fitting replaced by my electrician. It is a shame that the agents who act properly and in the landlords best interests will be tarnished by such practices. If you forget the commission I understand the light was charged at £412, for a security light where the cable was poked through the wall and plugged in to the nearest plug, clipping the cable along the wall, NOT the skirting. OMG – how can that be reasonable for anybody to pay? We have let all our contacts know how we handle such things on a news piece (http://www.maxinelester.co.uk/News/1609/Letting-agents-abusing-their-landlords.aspx) which has been well received by our landlords. Hopefully more agents will stand up and explain how they operate. If they don’t then the public will assume the worst of us all. I forgot to mention above that there is a very apposite article on PainSmiths blog entitled “Agents, bribes and secret profits” Worth a read!! Pain Smth have a great blog! Worth reading as it is all about the case I mention on this post, FHR v. Cedar. Thanks for flagging it up Robert. One problem is that most agents have T&C to say they can take bribes etc and don’t need to tell landlords; otherwise the bottle of wine at Christmas from a trade’s person would be an issue. Taking a bribe of 30% on the cost of repairs is in a totally different league! So is choosing trades people based on what bribes they pay. Do we have to move to agents listing ALL such items on their website, including details of every person that has brought them a cup of coffee? Is there another option? Unless agents get their act together and start expelling members from ARLA, I can see a lot more regulation coming….